J.K. Rowling has announced she’s started writing the script for the third Fantastic Beasts And Where To Find Them movie. The writer also gave insight into her writing habits and how the Harry Potter and the Cursed Child play came about. 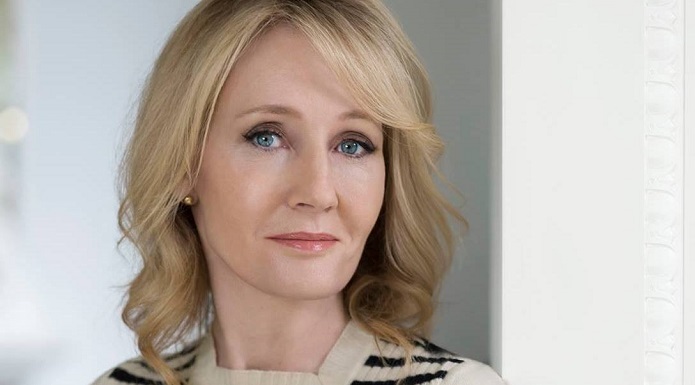 During a Q&A section on her official website, Rowling said she’s just finished writing the fourth novel under her Robert Galbraith pseudonym. The book is titled Letal White, but doesn’t have a publishing date yet. The Harry Potter author also revealed her next project is a children’s book. “I’ve been playing with the (non-Harry Potter/wizarding world) story for about six years, so it’s about time I get it down on paper,” she wrote. Most importantly, Rowling announced that the screenplay for Fantastic Beasts 3 is now in the works. She had previously explained her plans to tell Newt Scamander’s story in five movies and the second film, Fantastic Beasts: The Crimes of Grindelwald, is due out in November. Rowling gave some insight into her writing habits, as well. Answering a question about collaborating with other authors, Rowling explained the process of creating the Harry Potter and the Cursed Child play with director John Tiffany and writer and Jack Thorne. “I told John and Jack what I thought had happened to Harry, Ron and Hermione in later years, explained how focused I was on Harry’s son Albus, who’d been given the burden of not one, but three legendary names, and together we created the story that Jack wrote,” Rowling explained. “I have so many wonderful memories of the earliest rehearsals, of seeing the costumes and illusions for the first time, but what I remember most fondly about the three of us working together is the laughter,” she continued. The writer also talked about the differences between producing a play and a movie. “When I go down to WB Studios Leavesden and see a thousand people at work on Fantastic Beasts, building sets, making costumes, doing digital effects, making models and props and all the hundreds of other things that go into making a movie, it can feel utterly overwhelming,” she revealed.